There have been many inventions in history that have really changed the world beyond ways we thought possible. The car, the internet, the wheel, irrigation, these are all crucial things that have proven seminal to human history. There are so many weird and wonderful things that are being invented every year, and we seem to progress more and more as a planet with each passing year. But, there are some things so important that they will likely never be replaced, and their impact on the world has been immeasurable. The Wright Brothers came up with a little creation of their own that has changed the world beyond anything we have known before. We’re talking, of course, about a little thing called aviation! So, let’s find out more about the brothers and how they came to pioneer aviation. 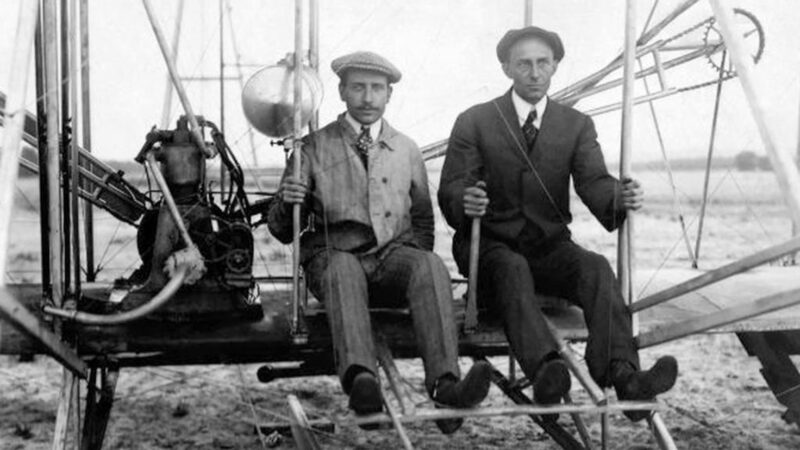 Wilbur and Orville Wright were born in Indiana to Melville and Susan Orville. Born in April 1867, Wilbur was 4 years older than Orville, but the two were close at a young age. Their father, a preacher, took them on the road a lot, and one day in 1878 he bought them a small model helicopter. It was made of paper and cork and powered by a rubber band. Based on the designs of Alphonse Penaud, the toy was a game changer and ignited a love of all things aviation in the boys. Despite being gifted and intelligent, neither of the brothers attended college (though Wilbur had planned to go to Yale). Instead, they both decided to start a newspaper in 1889 called West Side News. With a keen interest in science and mechanics, the brothers were captivated by the work of German aviator Otto Lilienthal. Following his death in a glider accident, the Wright’s decided to try their own hand at aviation. They headed to the windy North Carolina determined to settle on a design that worked. Observing the way birds took to the skies and angled their wings, they attempted to replicate this, a process they called wing warping. After adding a moveable rudder the prototype was ready to test, and, in December 1903, Wilbur managed to fly the plane for almost a solid minute at 852 feet. The brothers knew they were on the cusp of greatness, in spite of the skeptics, and they headed to Europe in 1908 to showcase their achievements, as well as selling some airplanes. They were a big hit in France and became big celebrities across the continent. Returning to the USA in 1909 as wealthy and well-known men, the brothers sold planes across the world. Sharing credit for everything, the brothers were a team, and, built a strong and successful company even up to their deaths. To look at the legacy of the Wright Brothers, we only need to look at the way travel and tourism have increased over the years. More people than ever before are finding themselves able to take to the skies and get where they want to go. And none of this would have been possible had it not been for the brilliant minds and unwavering determination of a couple of brothers from Indiana. 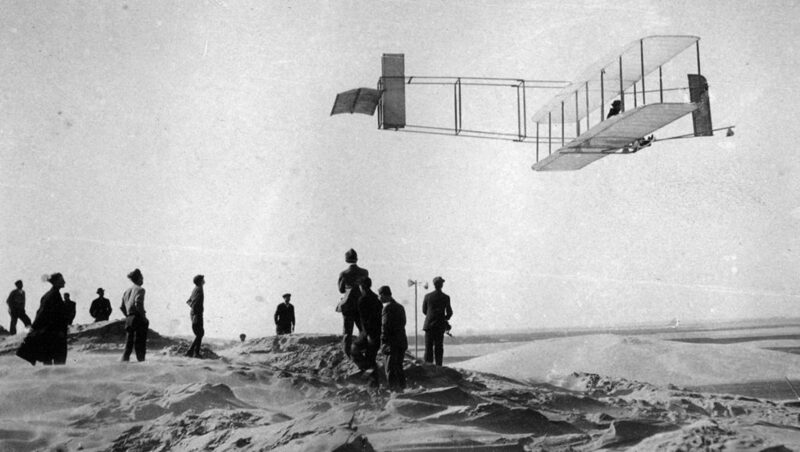 The Wright Brothers are often classed among the most influential Americans in history, and for good reason as well. Their discoveries and inventions in the field of aviation have changed the world forever, and we owe our ability to see the world, at least in part, to the two of them.